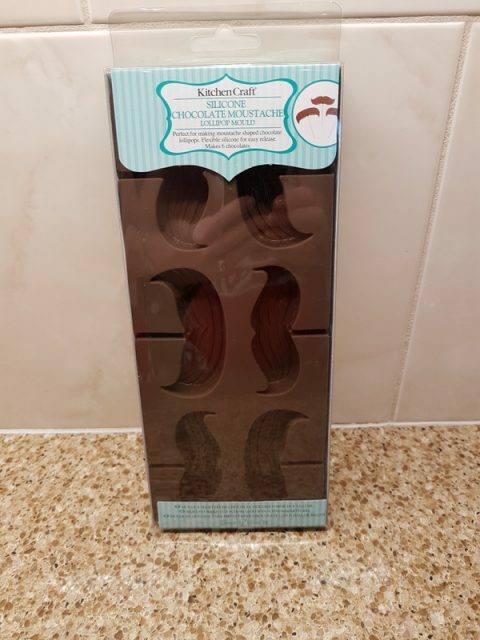 This moustache silicone mould is made by Kitchen Craft and comes from their Sweetly does it range. 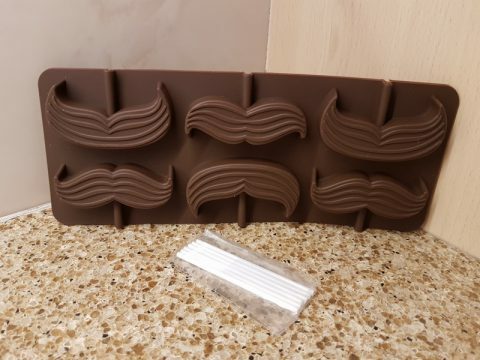 The mould is made of good quality silicone and there are two moustache designs within it. The pack does include six small lollipop sticks that are 3mm thick and 7.4cm in length which are disposable after use. 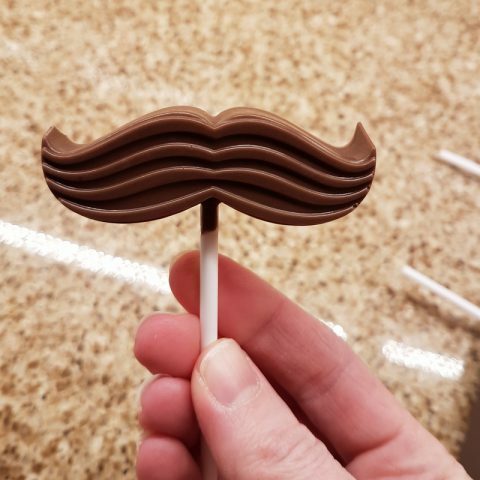 However, I chose to use some thicker and longer sticks for my moustaches that I had previously bought from Amazon. The mould size is approx 24cm in length x 9.5cm across. The moustache sizes are approx 6.5cm – 7cm in length and are 1cm in thickness. 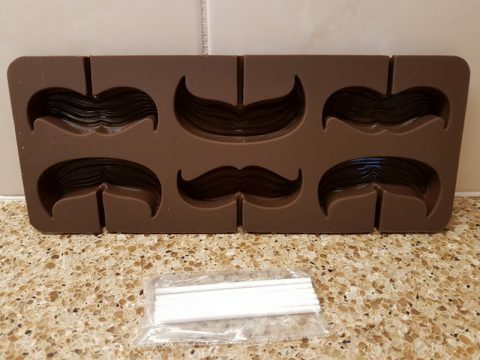 There are also grooves in the moulds to create a lifelike moustache pattern. Three of the moustache moulds raise upwards and the remaining three turn downwards. Before filling the mould it is wise to place it on a tray and then pour the chocolate into it. 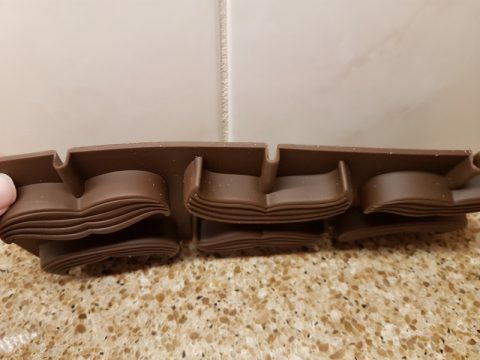 This allows you to move the mould freely to the fridge and stops it bowing under the weight. They’re fridge, freezer and dishwasher safe and are extremely easy to use. They set well in the fridge and peel out easily. 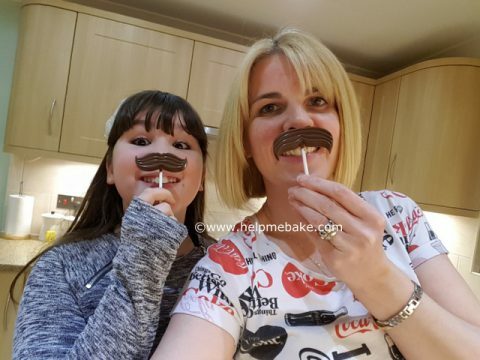 You will have great fun making these with the kids and you can have even more fun posing with them after they’ve set. 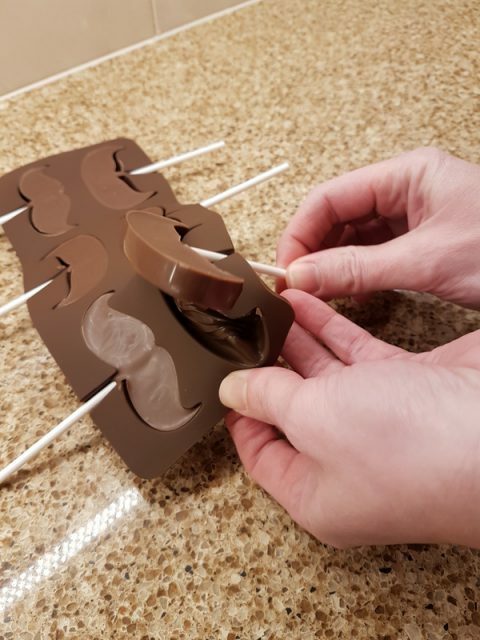 PrevPrevTips on using chocolate in silicone moulds.